One of my very best friends, Melissa, introduced me to these meatballs. Since I don’t eat grains I decided to change them up a little bit, and I was really pleased with how they turned out — even though they didn’t have oats! 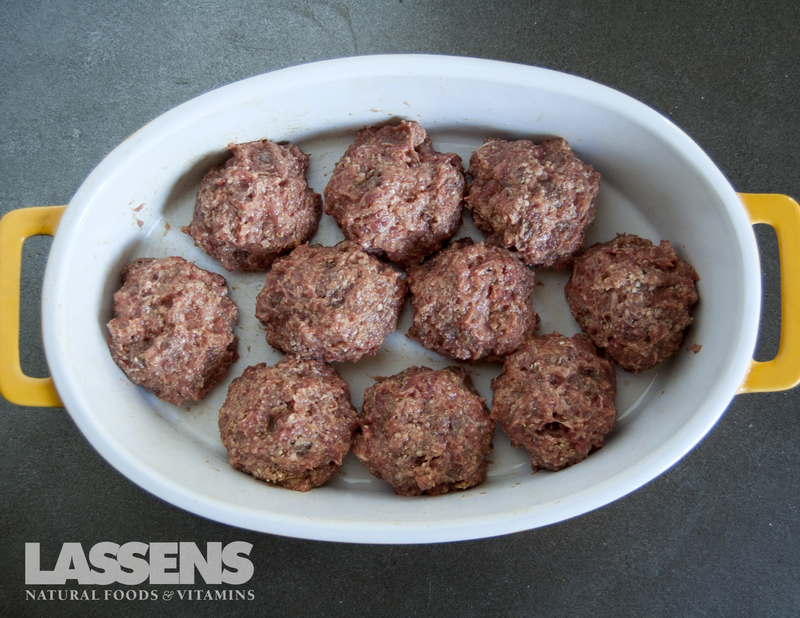 These meatballs can be used several ways, but regardless they’re tasty! 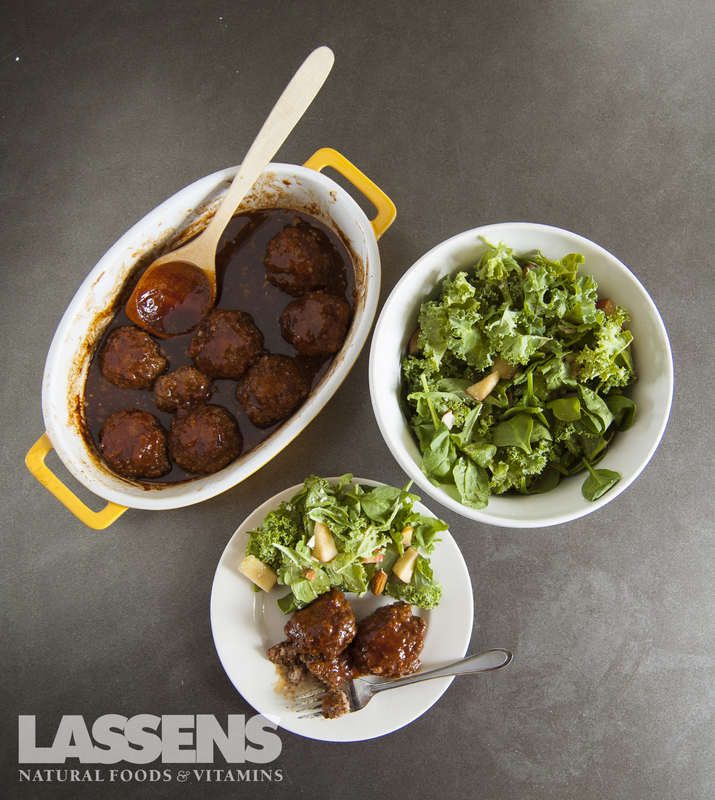 You can make mini meatballs and they are a great appetizer served on a toothpick. Or you can make them full size and they can be served over a variety of starches or grains. 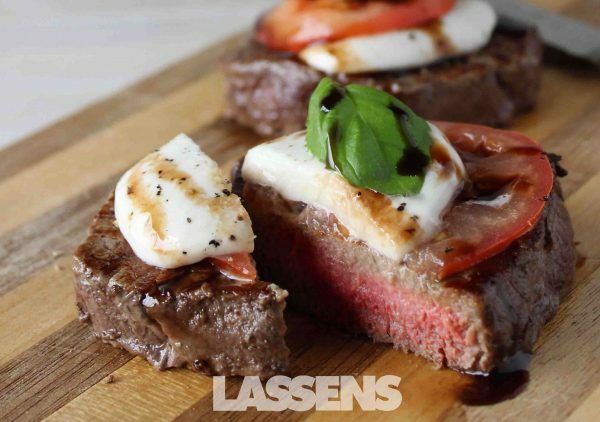 Hope you enjoy this delicious meal as much as we do! 1 cup BBQ Sauce Our family favorite is Rufus Teague, specifically the Honey Sweet flavor. 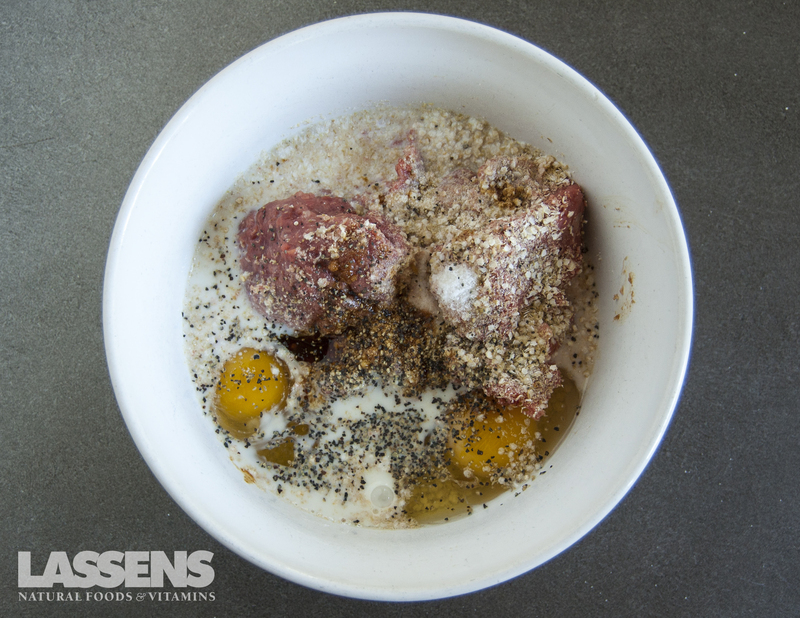 In a bowl, mix together all ingredients for the meatballs. Form the mixture in to balls. (Either full-size for a meal, or mini for a toothpick appetizer) Then place in a deep pan, they can be touching. In a small pot, mix together the ingredients for the sauce. 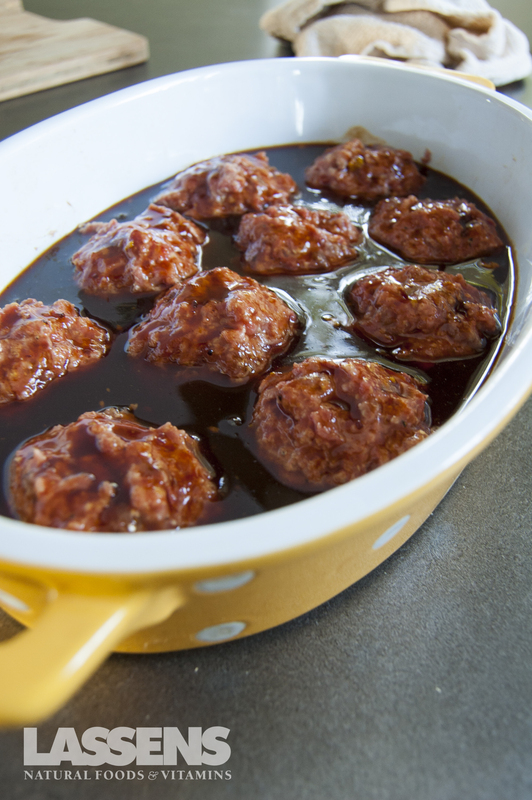 Pour the sauce over the formed meatballs. Place in the oven and cook for 15 minutes. Flip the meatballs, and cook for an additional 15. 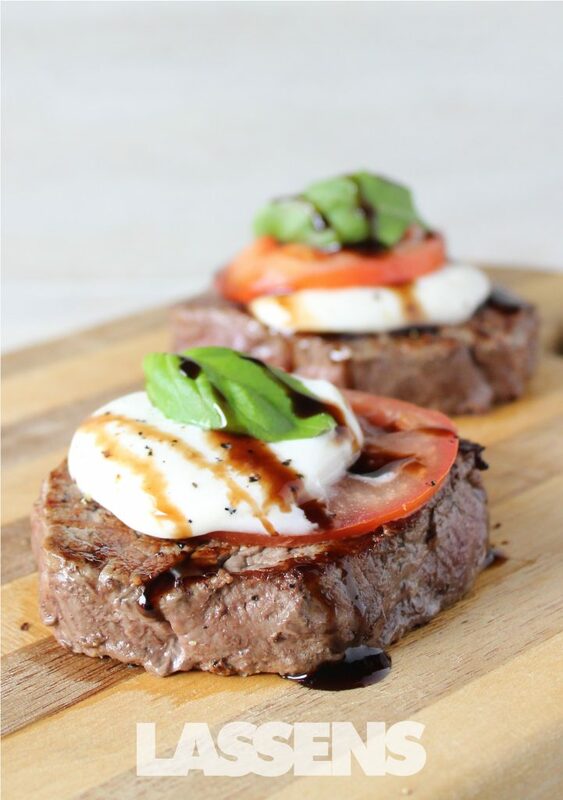 Serve hot with the sauce drizzled on them over rice, quinoa, potatoes, or by themselves. 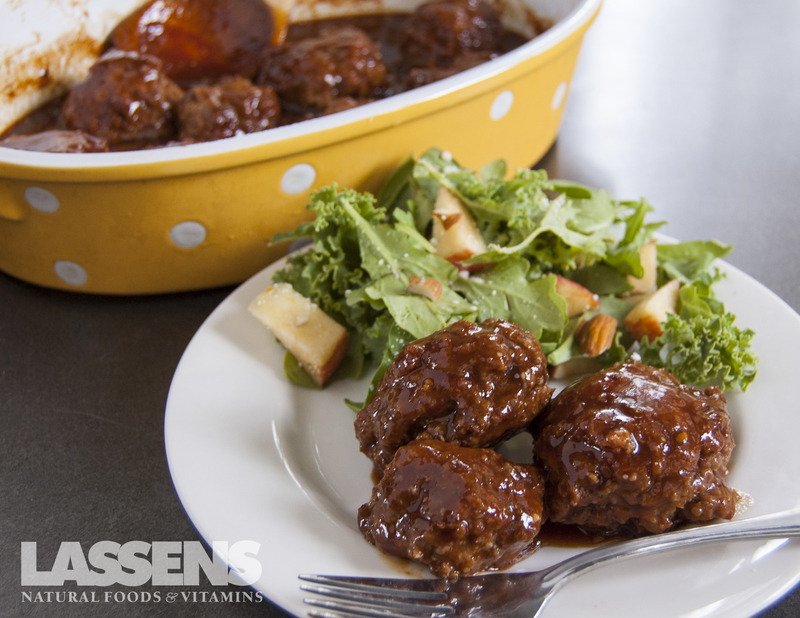 Pair these meatballs with our Gala Apple & Kale Salad recipe for a delicious, and super easy, meal!